Battlefield's traditional strengths are prominent as ever in the franchise's return to World War II, but it's not without a few missteps. Every time I settle into a new Battlefield game, I'm reminded that war is fundamentally about breaking things: cities, livelihoods, families. Soldiers fire heavy machine guns from the windows of once-trendy cafes. Cathedrals that have stood for thousands of years are shattered and lost forever. Cities like Munich and Tokyo will never recover the cultural heritage lost during the conflicts of the 20th century. Battlefield 5, like the rest of the games in the series, thrives in such an environment. Many of its best maps are set in vast urban centers that are slowly pounded into rubble over the course of a match. Fire a tank shell at a fortified house and watch as the walls blow apart, exposing the defenders within. Take cover in a garden, then flee as someone throws a grenade and destroys the ancient walls around you. This is Battlefield at its best, and the franchise's first foray into World War II since 2009's excellent Battlefield 1943 provides plenty such moments. It's why I've long preferred Battlefield over its competitors—you don't get tanks suddenly crashing through walls in Call of Duty. It's slower-paced, but also more vital and alive. Close-quarters firefights will erupt in apartment corridors as bombs explode just outside. Buildings will collapse as planes roar overhead. The sheer cacophany of noise when a battle really gets going can be almost overwhelming. In that respect, Battlefield 5 continues the franchise's time-honored tradition of mixing on-foot combat with massive maps, destructible environments, and vehicles. On a smaller scale, it also continues some other, more recent, traditions as well. 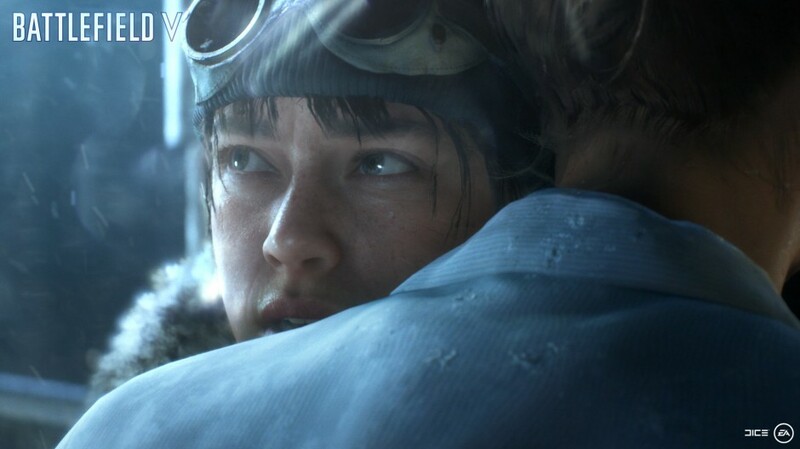 Following in the footsteps of Battlefield 1, Battlefield 5 brings back War Stories—vignettes set in different parts of the war—in lieu of a more traditional campaign. It also brings back Grand Operations, which string together a series of maps into one massive match. But in other ways it's a departure. Season Passes are gone, with free content schedules to be released in drips through 2019 and beyond. Cosmetic loot boxes are gone too, replaced by (very expensive) outfits and skins that can be purchased with in-game points. On the ground, Battlefield 5 is strong as ever—perhaps even stronger. The maps are tight and entertaining, with multiple interesting features and vantage points that make battles feel vibrant without sacrificing scale. My favorites include Narvik, a town set alongside the snowy Norwegian coast, and Rotterdam, an urban map featuring battles alongside canals and through subway cars. On the whole it's faster-paced than Battlefield 1, with guns, gadgets, and planes all benefiting from the more advanced technology of World War II. The single-player War Stories are generally solid as well, with several opening up and giving you freedom to decide how to complete your objectives. I already wrote about how much I enjoyed Tirailleurs, which serves to highlight a little-known historical injustice while retaining the scope and excitement Battlefield is known for. The main knock against these episodes is that they are somewhat leaden and portentous at times, with an Oscar bait quality that makes them feel closer to Pearl Harbor than Saving Private Ryan. DICE's War Stories, respectful as they try to be, are necessarily sanitized for your convenience. When I think of World War II, I don't think of a buddy comedy between two British convicts as they operate behind enemy lines. I think of the German soldiers still frozen under the ice near what was Stalingrad. I think of the pilots being able to smell the charred bodies from their cockpits over Tokyo and Hamburg. It's why a good World War II story is so hard to do right, especially in a multi-million dollar video game intended for mass audience. Let's all hug it out on the battlefield. And yet, I'm still broadly in favor of Battlefield 5's War Stories format because it captures the full breadth of what was truly a global conflict better than a traditional single-player campaign. Where 2017's Call of Duty: WW2 mainly sticks to safe, familiar settings like Normandy and the French Resistance, Battlefield 5 puts the spotlight on locations like Africa and Norway, and on less famous outfits like the British SBS (the seaborne counterpart to the better-known SAS). Saccharine as they might be, this is a good and worthwhile thing to have in one of media's most cliche-ridden historical genres. What's really unfortunate is that there just aren't enough of them right now, which leads me to Battlefield 5's most crucial misstep. Playing it straight out of the box, you just can't help feeling like it's all just a bit thin. There are only three War Stories (four if you count the fairly simple prologue) available right now, roughly half that of Battlefield 1. There are fewer maps. There are fewer guns per class, and they take what seems like forever to unlock. Even vehicles have to be earned through progression, which is in stark contrast to previous games, where they would often be sitting right there on the map. Playing it, you almost get the feeling that you're in the middle of a beta as opposed to a full-blooded release. With crucial modes like Firestorm, Battlefield 5's new battle royale mode, being held until 2019, you can't help getting the feeling that Battlefield 5 would have benefited from simply waiting. But of course, that would have meant stepping on the toes of Anthem, EA's other big multiplayer game. In that light, the "Tides of War" release plan sure feels like a neat bit of marketing spin to hide the fact that most of Battlefield 5's promised content simply isn't ready. It is fair to ask what the big deal is given that EA is going to be releasing it all a later date for free in any case. I suppose my answer would be that I'm not a huge fan of delaying key features—and battle royale is definitely a key feature—and calling it free DLC. It makes it harder to recommend an otherwise solid shooter straight out of the gate. Premium currency will be in Battlefield 5 soon enough. The other issue that makes me hesitant to give Battlefield V my full-throated endorsement is its aforementioned approach to progression. 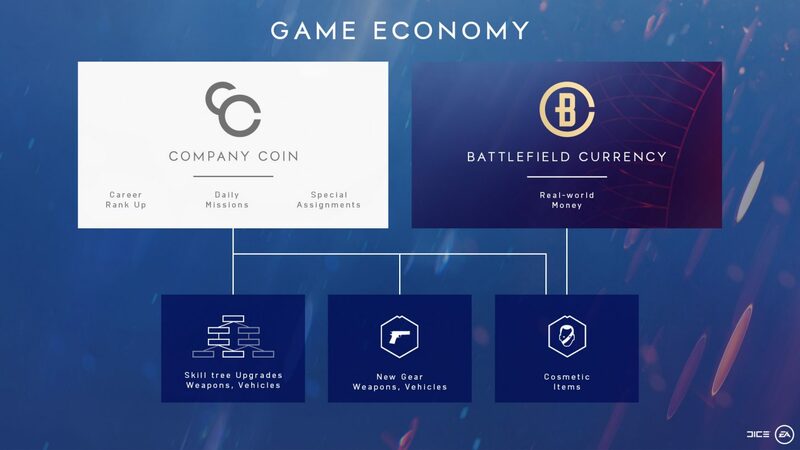 Like Star Wars Battlefront 2 before it, Battlefield V opts to mix progression with cosmetics, forcing you to choose between using in-game currency on gun specializations and new (rather expensive) jackets. Currency takes a long time to earn, and at least in the early going, you will probably be stuck focusing on practical concerns like making your character more powerful. There is, of course, a reason for outfits costing upwards of 6,000 credits: the premium currency that will be released at some point in the future. When that happens, the pressure to spend to kit out your character with premium goods will be pretty heavy. It's not all bad—there are cosmetics that you can unlock for free, for instance—and I'm not actually that averse to triple-A games paying off the high cost of development with additional revenue streams. But the ties to progression and the artificial choice that it induces all feels a tad underhanded. Still, despite questionable microtransactions and content release schedules, the quality of Battlefield 5's core gameplay manages to shine through. It continues the franchise's strong track record of excellent graphics and audio, and it still does vehicle combat better than almost any other shooter. When you're in an actual match, the fun of participating in a pitched 64-player battle supersedes almost everything. DICE has a pretty strong track record of supporting its shooters over a long period of time. Even Star Wars Battlefront 2, maligned as it's been, is still receiving steady doses of new content. If previous games are anything to go by, Battlefield 5 should be pretty amazing by the time Summer 2019 rolls around. But it's early days yet, and the reduced content is definitely noticeable. Unless you're a superfan, maybe give Battlefield 5 a few months to mature into the shooter we know it can be. Tagged with dice,	Electronic Arts,	FPS,	PC,	PlayStation 4,	Reviews,	Shooters,	Xbox One.